Edith Bolling Wilson became the first Honorary President of Girl Scouts in 1917. The tradition of the First Lady of the United States serving as Honorary President of Girl Scouts continues today. 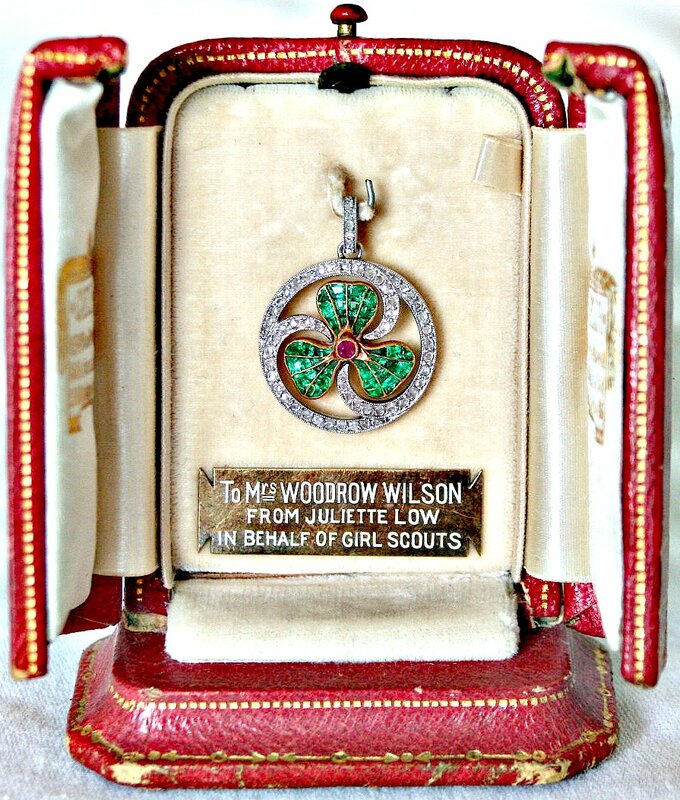 A “Thanks Badge” was specially designed and presented to First Lady Edith Bolling Wilson by the Girl Scout National Board at a ceremony at the White House by the Founder, Juliette Gordon Low. The “Thanks Badge” recognized Mrs. Wilson’s thoughtfulness and encouragement to Girl Scouts. Mrs. Wilson gifted the pin to the Juliette Gordon Low Birthplace in 1958. The emerald and diamond pin is still held in their collection today. ​ Edith Bolling Wilson in 1917.